It’s every book lover’s worst nightmare: Going to see a film adaptation of a beloved novel and absolutely hating it. It’s happened to me more times than I can count. 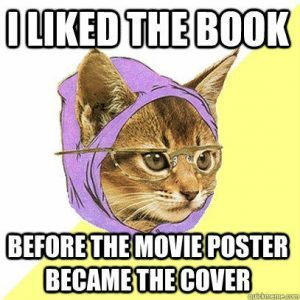 These days I generally only watch the movie version of a book if I didn’t have strong feelings about it. Even when a movie is getting positive reviews and is doing the book justice, I tend to avoid a film based on a book that’s been significant in my life. 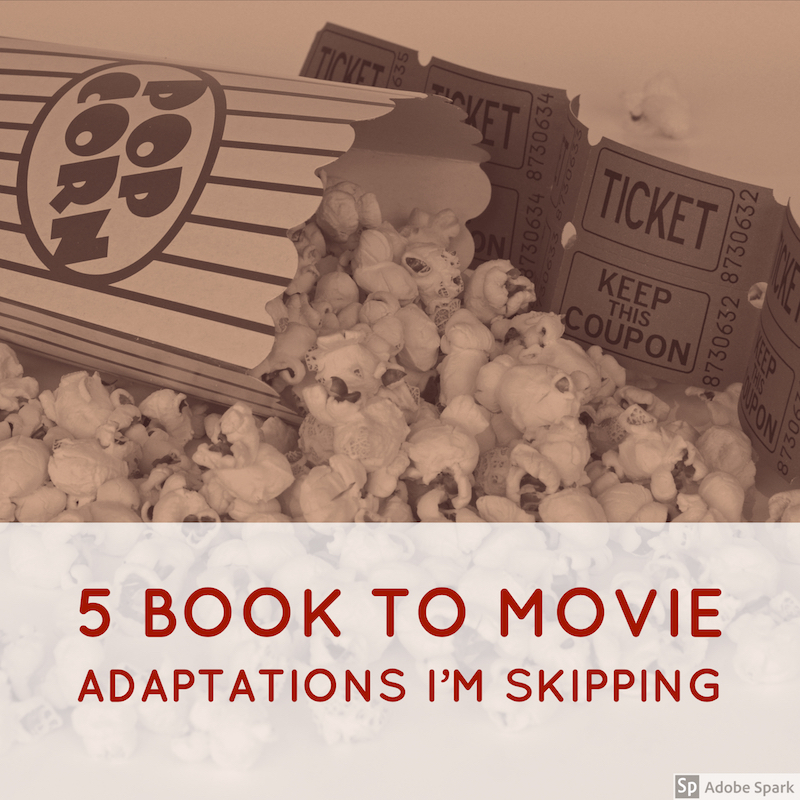 I also tend to avoid movie adaptations of books I hated, which seems obvious, but I’m more likely to give one a try because I figure it can’t get any worse! There are several recent/upcoming releases that caused me pause, yet I still have decided to avoid them. Everywhere I look, I see ads for this movie. And yes, it looks wonderful and is getting rave reviews. The book is narrated from Starr’s point of view and I simply can’t imagine how viewing the story from a third point of view could be nearly as powerful. 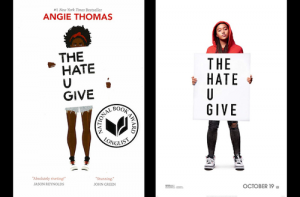 The message may come across the same, but besides being a provocative take on police shootings of black youth, THUG as a novel is an incredible coming of age story as this young woman struggles to find her true self, which is Universal. While this is a story of violence, race, and belonging, it’s also one of love, family, community, and understanding. I was actually kind of excited when I saw this was being made into a TV series. It’s one of the creepiest, most disturbing books I’ve ever read. It’s also incredibly compelling, I could hardly put it down. 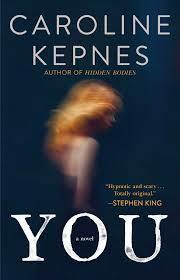 The narration style is unique and adds to the frantic pace of the story and creepiness of the narrator, which almost had me feeling bad for the psychopath at times. So I was curious to see how that style would translate to the screen and a series seems like the best format. Then I realized it would be a Lifetime series and I lost all interest. Perhaps HBO or Netflix could “go there” in regard to the darkness of the story, and I highly doubt Lifetime could even come close. 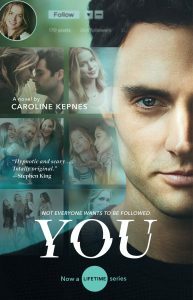 In fact, their website describes the series as: ” YOU” is a 21st century love story that asks, ‘What would you do for love?” It sounds like a watered down version lacking the intensity and originality that made the novel such a hit. 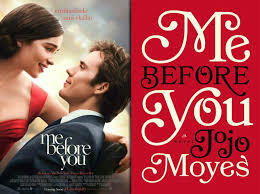 This is one of my favorite novels of all time, so I was skeptical when I heard it was being adapted for the big screen. Then the first trailer was released and my suspicions were justified. 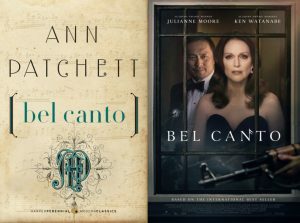 Juliann Moore as the world famous opera singer? I can’t buy it. 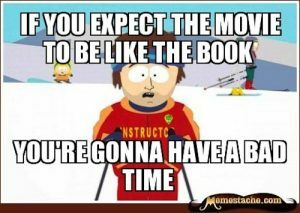 Not to mention when I showed the trailer to my mother-in-law, who had finished the book only a few weeks prior (I gave it to her for Christmas last year) she looked super confused and said “This doesn’t look like the book at all.” It might be a decent movie on its own, but I’m not interested! Similar to Bel Canto, this is one of my favorite memoirs and a classic example of the genre done well. While the casting isn’t an issue for me, I simply have had no interest in seeing the story in this format. I found this novel solidly okay. 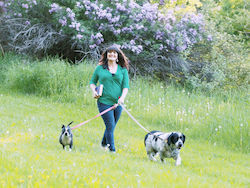 I may be one of the only women in the world to think so. The power of this story comes from not knowing what’s going to happen. So after I finished the book, I didn’t see any reason for wanting to go through it all again. I cry enough in my regular life, I don’t need to subject myself to more intentionally in a film! I thoroughly enjoyed the sequel to this one much more, so I decided not to continue on to the third book so I could leave the story in a place that felt good to me! 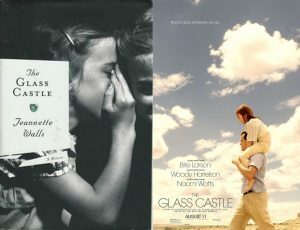 What are your thoughts on these books and their screen versions? Are there any others you’d recommend I’d skip? Or make an exception and watch? !